There are a number of ways to make money online by using your laptop with internet connectivity. One of them is Affiliate Marketing which is known as the oldest technique and way to make money online by selling products and services. You can earn some healthy amount of money by doing this job. You just need to promote the products and when someone purchases these products through your reference link, product merchant/company will give you a fixed amount of commission as a reward. In affiliate marketing, you are an independent promoter and not officially hired by the merchant. It means you are not eligible to get any incentives, bonus and other benefits from the company except a fixed commission. Affiliate Marketing is a performance based rewarding system in which a company or merchant pays a fixed amount of commission to their product promoters(in other words affiliates) when someone purchase products through affiliates specific reference link. It’s very simple to understand how does affiliate marketing works? You just need to promote and sell products by different means such as; on your website, social media network or through emails. For example, you placed a banner of HostGator with your specific affiliate link provided by the company on your website. Now If someone clicks on that banner and purchased webhosting package or other services offered by the company then Hostgator will pay you a fixed amount of commission. Usually, HG pays 50$ per successful purchase of web hosting packages and on other services. So, Isn’t it easy to understand the way affiliate marketing? Before starting, you need to Sign up for the Affiliate Program in which you want to do work. Now a day’s almost all full-time bloggers enjoying massive income through affiliate marketing programs. CJ stands for commission junction is an online advertisement company and marketplace for publishers and also for advertisers. It is founded in 1998, known as the world best affiliate marketing program. Commission Junction merchants pay a good commission to their promoters. It is like ClickBank but it’s a non-digital product marketing store. Rakuten LinkShare Corporation founded in 1996 offers e-commerce and online services such as affiliate marketing, new signup, registration, free trial and Paid search etc. LinkShare is also an affiliate marketplace. Recently Linkshare selected for number # 1 affiliate network by Mthink. The support of LinkShare for users is awesome and can’t ignore. Amazon is an electronic commerce company, located in America and founded in 1994. It is the world largest online retailer store. Amazon Associates have separate sites for USA, Canada, Italy, Spain, Brazil, China, India and more. Amazon pays little commission but due to the great and trusted online reputation, it’s a great program for earning good revenue. Share-a-sale is another affiliate marketing network, founded in 2000. Affiliates can choose different type products according to their site niche and then promote these products on their website, blog, PPC campaigns, Email and in other sources. If someone makes a successful purchase from your affiliate link, he/she will get 4% to 40% commission on the total amount of purchase. In Share-a-sale commission depends on the merchant ToS. ClickBank is a marketplace for digital information products and was selected top market affiliate program of 2011 in the USA. 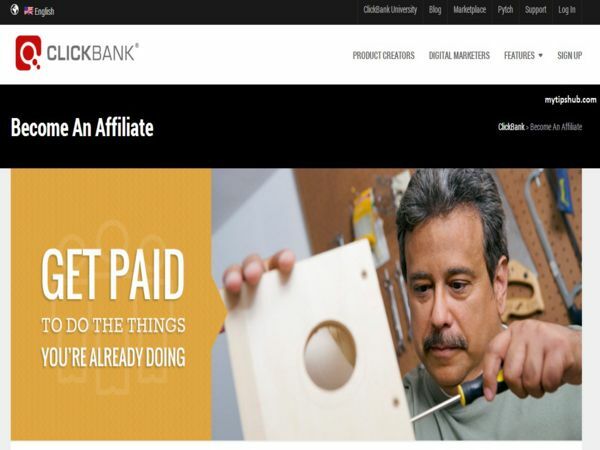 ClickBank offers services in upto 200 countries. They offer upto 75% commission on each sale. ClickBank is one oldest marketplace for publishers to earn some massive income. This is another awesome affiliate program, founded in 1996 and also one of the 20 largest web hosting and domain name registrar company around the globe. 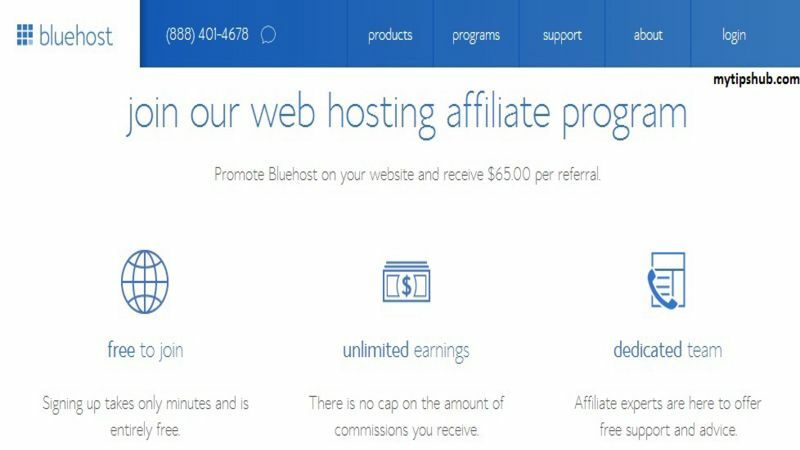 Bluehost pays a $65 commission per referral to their product promoters. You can make a good income by Bluehost. It is an economical shared hosting and domain seller recommend by the WordPress team and many pro-bloggers. HostGator was founded in 2002 is known as a great affiliate program for publishers to make some extra buck online. They provide cheap but quality cPanel hosting backed by Linux servers at affordable rates. Their product line consists on shared, VPS, dedicated, cloud servers, managed WordPress, website builder, and domain registration services. Hostgator offers incredible commission plans to their product promoters. They give $50 commission for every sale of web hosting plans. If you send 1~5 referrals per month to Hostgator then you will get 5x$50=$250 and if you send 6-10 referrals/month you will get 10x$75=$750 and so on. I hope this article will help you to choose the best affiliate marketing programs for making money online. These companies really pay a healthy amount of commission to product promoters. Do let me know which affiliate marketing programs are your best and how many programs you are using right now?